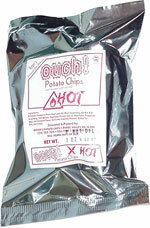 Taste test: These are some of the hottest chips out there. The great part is that when you first bite into the chip, it's just tasty for a fraction of a second, then it quickly gets really hot, and then it gets even hotter. The aftertaste is hot and lingering. After a cold drink cooled things down temporarily, the aftertaste came right back and continued to linger. 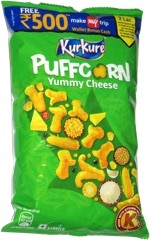 Any hot chip fan has got to try these. Also, a great way to clear your sinuses! Smell test: Smells kind of like paprika, but slightly hot.